Jeffrey has trained 10+ years as a classical pianist. At Alpena Community College he completed Piano courses 1-4, as well as Theory 1 and 2. He is currently Studying Music Production at Full Sial Universtiy. Mr. Kuznicki has years of experience as a music director in various Churches and as a private teacher. Jeff is available on Sundays for Piano and Vocal lessons. Call today to reserve your time slot! All of our music lesson instructors have background checks, and are community certified. We only recruit professional instructors with exceptional knowlege in music, theory, and with a wide range of music styles. We are your local Orlando Music Store with everthing you need. Our lesson rooms have glass windows so you can see the progress of your students as they are taking their lesson. Your musicians can take lessons in a clean, safe, and fun environment. Private music lessons are prefered by most band directors as well. What we do at Music & Arts helps to reinforce what your students are learning in school. 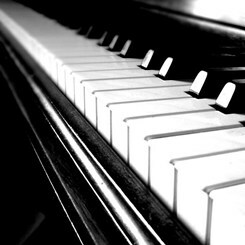 Call us today to sign up for piano lessons! Request Lessons with Jeffry today!